Fertility isn’t power; it’s more like the universe reaching through us to pursue its own ends. via Women’s Hero Journey: An Interview With Lois McMaster Bujold. This entry was posted in Bookslut on July 25, 2014 by Angerie. 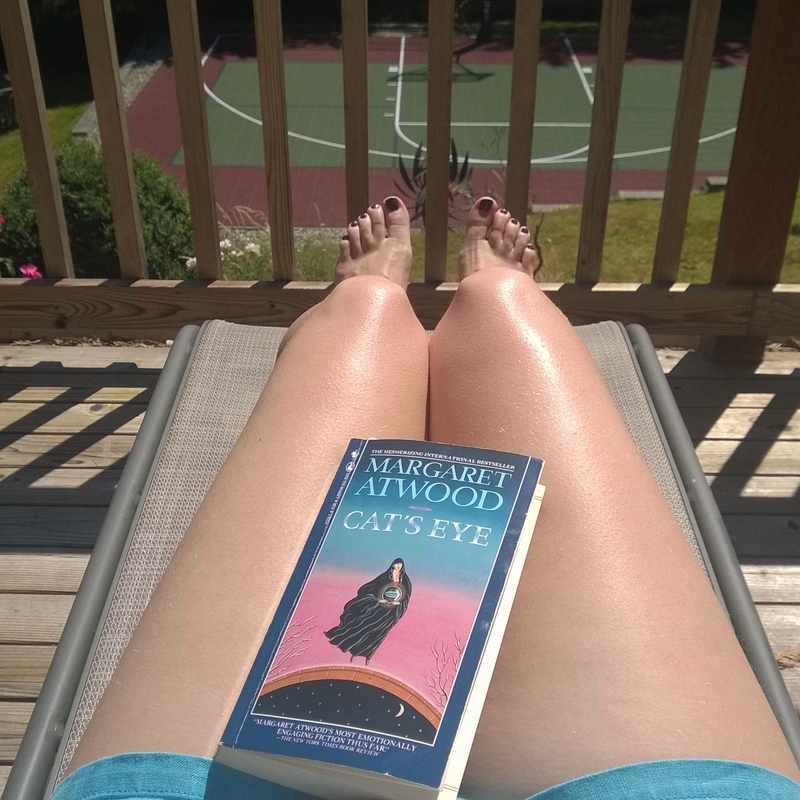 Revisiting old friends this summer with Margaret Atwood’s Cat’s Eye. I picked up this copy at my friend’s father’s wake. He enjoyed reading and had traded books with me before. We were invited to take books from his small but bursting shelves in remembrance. Cat’s Eye was my first introduction to Atwood. I had checked it out of my local library before a family vacation driving across the States in a Ford Bronco. Lying on my stomach on a pallet of blankets in the back of the vehicle, willing myself not to be carsick while reading, ignoring the majesty of the Rockies passing us because family vacation, ugh. I suppose I was primed to appreciate the quiet terror of navigating the world of girls, where secrets are currency and loyalties are always suspect. My parents seemed equally clueless yet well-meaning, my brother lost to me fighting his own battles in becoming a man. I read about the protagonist peeling her skin while biting my own nails down until they bled. This entry was posted in Bookslut and tagged Margaret Atwood, reading, summer on July 6, 2014 by Angerie.